You may be thinking it’s one book after another from me at the moment- and you’d be right! Romancing Robin Hood and The Outlaw’s Ransom have recently flown forth from Littwitz Press. These novels were both re-releases. They have been reedited, recovered and given a whole new lease of life. Today, however, I can proudly reveal the cover of a BRAND NEW NOVEL. Not seen before, The Winter Outlaw, is the second book in ‘The Folville Chronicles.’ It follows on from The Outlaw’s Ransom (or Romancing Robin Hood– which includes a slightly briefer version of The Outlaw’s Ransom within its pages). 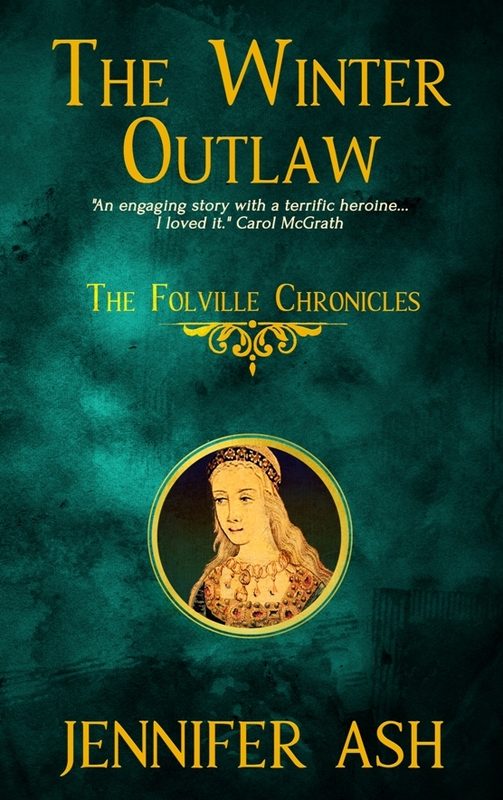 Continuing the story of Mathilda of Twyford, potters daughter and hostage to the infamous criminal gang, the Folville brothers, The Winter Outlaw, is a non-stop medieval adventure. Well done! Open it goes well. Sounds like you’ve got a good publisher on Littwitz.